Amazon is offering a £5 discount across its online store today. Orders over £25 qualify for the new discount, which will expire at midnight tonight. To slash the price of the items in your shopping basket use the code BIGTHANKS at checkout to get £5 off the total price. 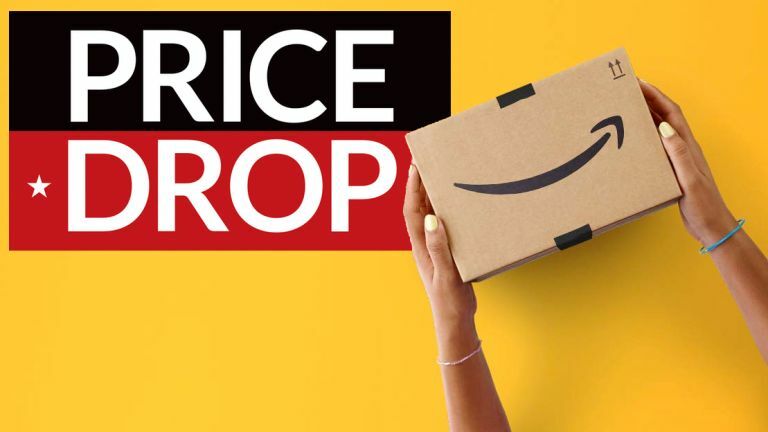 The discount applies to items sold or dispatched by Amazon EU, so you won't be able to get the £5 discount to some items sold by third-party sellers in the Amazon marketplace. The promotion has been launched to celebrate a nationwide online survey of retail consumers which named Amazon as the UK’s favourite retailer at the Retail Week Awards for the third year running. "We strive to provide the best customer experience on the things we believe customers will always care about – low prices, vast selection, and fast delivery – and we work hard to provide all three, all the time," said Doug Gurr, Amazon UK Country Manager. "We’re grateful for the support of our customers and I’m confident our investments in the UK will help us provide an even better shopping and entertainment experience in the years to come." If you've had a few items saved in your shopping basket for the last few weeks or months, this is the perfect opportunity to click Buy. Prime customers will be able to use the discount to slash the price of their orders over £25 and get free next-day delivery or Same-Day Delivery on more than a million items in selected areas. Stuck for ideas of what to buy? Amazon HDMI cables and other AmazonBasics items are on sale today and you can apply the BIGTHANKS discount code to those items to get an even better saving.